Clark Smith is an articulate guy. And there’s an odd schizophrenia to his eloquence; at times, he’s passionately defending the full suite of modern technological interventions that have made his name and his fortune, while at other times he’s lauding the primacy of the vineyard. In this, he’s more right than many of the partisans on either side…both the ones who’ve never met an intervention they couldn’t excuse, and the ones whose winemaking ideal is impossibly utopian. And I say this as someone who is, with fair frequency, an enthusiastic endorser of the natural/traditional side of things. In the '70s, there used to be a clear, open channel of communication with the press and with wine buffs in general, but winemakers got insular. There are now fully 50 times as many wines on the market as there were 30 years ago, and the resulting heated competition has shut down the sharing of knowledge. Instead, today you scrape for every advantage. Winemakers thus tap eagerly into technological innovations from, say, the biomedical field or NASA. These have come so fast that it is difficult for even seasoned pros to keep track, let alone school the public and the romantic press corps. Amidst all this change, there is a growing realization that the modern principles we learned in school aren't adequate to the task of making great wine, and this has added confusion to deciding just what the post-modern path should be. So winemakers are really confused, just when a revolution in social media is demanding clear, honest answers. The thing is, that’s already happened. Arguments about techniques, sometimes more than the wines that employ (or deliberately don’t employ) them, rage across the world of wine discussion…in print, online, and in person. So the time to worry about the possibility of criticism has passed. It’s here. And now it must be dealt with. What wine-related matters would benefit from the bright light of revelation? Ingredients, certainly…something Bonny Doon has already addressed. One of the great misapprehensions about wine is that it’s all just grapes and maybe some yeast, while others of a more suspicious bent hear “ingredients” and start thinking about artificial flavorings and all manner of nasty chemical additives. Wines of each type do exist, certainly, but there’s a vast middle ground of things added to wine that are, by almost any definition, quite traditional and well-established, like acid, or sugar. The availability of this information would remove the stigma of mysteriousness for people who, having just learned that most winemaking is not peasants foot-stomping tubs of grapes, are driven to question as blindly as they’ve accepted in the past. But also, techniques. The modern winemaker has a lot of tools in their arsenal. Some are quite old and well-established, some are modern ways to accomplish the same result, and others are on the cutting edge of scientific winemaking. Some are deformative in expected ways, others are deformative on the sly. Some fix problems, others create new problems (which can sometimes, in turn, be fixed by other methods). Some are the outgrowth of a philosophy, including the philosophy of using as few as possible (or, for some idealists, none), some are employed as last-ditch damage control, and others are applied as a regular part of a rigid process. Every technique has its supporters and detractors, but none is inherently good or bad, except as viewed through the lens of a winemaking philosophy. The problem is that, in the absence of transparency, the consumer is often left to develop their own philosophy based on insufficient, and sometimes even completely wrong, information. For example, the majority of Smith’s former clients hide the fact that they used his services. Why? Because there are some that consider those techniques to be of a special category of deformation, and those companies don’t want to deal with the possibility of negative publicity. The thing is, the actual number of people fundamentally offended by some of the technologies is fairly small, but by cloaking everything under a cloud of obfuscation, the result has been a wider net of suspicion falling on the entire wine industry…a suspicion now held by a greater number of people than would have actually cared, were the details supplied to them from a non-partisan source. The only escapees are those whose philosophy is rigidly spelled out, those already assumed to be using any and all techniques available to them (the industrialists), and the very few who have the courage to hide nothing. More than ever, consumers have become inspired to love wine as the "one pure thing" unaltered by 20th century fiddling. The lack of straight talk from winemakers has spawned a whole generation of Internet piranhas who make a living devouring ill-prepared winemakers, the poor saps. These predators have learned they can trade on the public's growing fears of technology in winemaking's sacred ground. While wine lovers may not agree at all with these sensationalists, they can't help being drawn to their rhetoric. The public needs to create an entrée for honesty before most winemakers will come clean. That's beginning to happen with real journalists like Jamie Goode and Eric Asimov writing without an ax to grind. So heroes like Randy Dunn and Michael Havens are now willing to speak openly. Oh dear. Those poor, poor winemakers, who sound awfully set-upon by the bloodthirsty “internet piranhas.” It sounds unendurable, but it’s mostly untrue. It’s not that Smith’s carnivorous fish don’t exist, though someone who wasn’t deeply immersed in the battle himself might more fairly and reasonably call them advocates for a philosophical position, rather than some insulting name. And it’s not even that they’re incapable of the occasional bout of rhetorical savagery – who isn’t? – or that they are always fair – who is? – or even that they all make sense. It’s absolutely true that some advocacy is unfair, badly communicated, and outright incorrect. But Smith rides this fence too hard; either it’s his ox being gored, or it isn’t. He can’t simultaneously claim special aggravation as the target of attacks and the pretense of objective distance. And in any case, those he believes to be his tormenters…aren’t. In examining why Smith is pointing an accusing finger at the wrong target, it’s necessary to ask where the “natural wine” advocates come from. Did the cohort of philosophically rigid interlocutors that annoy Smith so much spring fully-formed from the ether? No. They arose as a response to an existing dichotomy in the world of wine, one in which the majority of winemaking either embraces or is unconcerned by matters of technological meddling, and in which exists a small but very vocal opposition from winemakers who espouse positions of (occasionally extreme, occasionally not) traditionalism and naturalness. It is their work – their wines, which exist as evidence for their counter-argument to the modern norm – that gives rise to a segment of the professional and enthusiast commentariat that are the media-saturating advocates for the wines, and as a result the philosophy. This is no different than an encounter with great Barolo giving rise to enthusiasm and advocacy for Piedmontese nebbiolo, it’s just newer, and thus seems more jarring…especially by those who were unaware of the existence of, or have reason to be antagonistic to the promotion of, an alternative to the norm. Thus, the “problem” for defensive winemakers isn’t the commentary on natural wines, it’s the natural wines themselves, and also their most passionate advocates: their winemakers. Did they not exist, and in ever-growing number, there would be little or no media advocacy to worry about. So what’s the path forward? 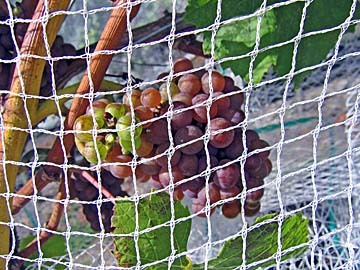 Still transparency, after which an honest debate can take place, Yet all too often the actual debate takes the form of a defensive crouch, expressed as a “yeah, but what about…” argument and often employed by winemakers, who respond to questioning of their methods with veiled accusations about others’ methods. There’s a good point buried within this argument, one which examines the value judgments in considering (say) reverse osmosis to be fundamentally deformative, but chaptalization to be more or less OK. But the defense fails in two rather basic ways. First, it is unresponsive, and merely returns accusation with counter-accusation. Second, and worse, it assumes either ignorance or hypocritical motivation on the part of the questioner. Yet not all who question are hypocritical; some distrust chaptalization and reverse osmosis in equal measure, and others are innocent in their ignorance of the philosophical difference. As detailed earlier, it is the very lack of transparency – a situation exacerbated by this tennis match of volleyed accusations – that creates misunderstandings by which reverse osmosis and chaptalization are judged by different philosophical standards that have little foundation in reality. There will be those who will like and dislike wines in ways that go beyond organoleptics – usually for reasons philosophical – and that’s a justifiable response. There will also be those who would not dream of choosing on any basis other than taste, and that’s no less justifiable. And there will be a third group that will learn something about the intersection of nature and man, and how the choices enforced and made by each are reflected in wine. Armed with that knowledge, and a transparency about how other wines compare, they will be able to make more informed choices about new wines they might like or dislike, and why. And winemakers will no longer have to atone for the unproven sins of their brethren, but will represent their products for what they actually are. In this scenario, everybody wins. So why is there such resistance to this notion? As before, the motivations of the true industrialists are clear: they fear rejection if their actual practices are made public. (A fear that is certainly overblown given that most consumers don’t really care how wine is made, but are only concerned with a personal quality/price ratio.) But the greater problem is that this is a battle for micro-shares of potential consumers in a highly saturated market, and as with any such battle a lot of it is fought by waging a propaganda war. What’s important in such a campaign is not that the consumer knows, but rather that he believes…in a carefully constructed myth of “hand-selected” grapes that have never been touched by a hand, in the benefits of new oak barrels to a wine that has never seen wood that didn’t come in chip or liquid form, in the primacy of a named plot of land without regard to the quality of the actual products of that land, in the traditions of pastoral farming at a winery that owns no grapes, in the need to preserve land from the meddling of foreign corporate interests so it can be gobbled up by domestic corporate interests, in a hodge-podge of scientifically-unsustainable mysticism and nonsense that presents itself as more-holistic-than-thou, and in the ability of one person to carefully nurture an “artisanal” wine produced in industrial quantities while doing a simultaneous nurturing job for several hundred other clients around the world. Whenever winemakers or wine drinkers start talking about “intervention” – a catch-all term for winemaking practices, but usually employed to mean only that subset of practices the speaker doesn’t like – the counter-argument comes, again, in the form of a game of counter-accusation and reductio ad absurdum. “Isn’t all winemaking intervention?” Well, yes, of course it is; wine can come into existence through absolute non-intervention (grapes and ambient yeast, a wound on one of the grapes sufficient to connect sugar to yeast and start fermentation, causing other grapes to split and add themselves to the fermentation, etc. ), but it can’t end up in a container that way, and it isn’t anything one would want to drink if it could. But no one who brings up intervention is arguing for that, and I doubt anyone ever has, so said response is more than a bit of a straw man. Advocates of the philosophy sometimes (perhaps unfortunately) called non-intervention don’t actually mean non-intervention, they mean less intervention, and even the hardliners only mean least-intervention. Not a recipe as rigid as any industrialist’s, but a mindset by which the preferred choice at a given stage in grape-growing or winemaking is not to “do something,” but to do as little as possible (with nothing as the philosophical ideal) in response to that choice. To claim a lack of difference between these practices and the free exercise of oenological wizardry is sophistry, and rather weak sophistry at that. But that’s just the philosophical side. Many of those who argue for less intervention do it for reasons that have little or nothing to do with philosophy, and more to do with organoleptics: in general, they prefer the way wines made with less intervention taste. For such people, the usual straw man arguments achieve even less traction, because they’re interested not in intervention as a general category to be embraced or avoided, but in knowing which wines are more likely to satisfy their palates than others. So, having – like so many other industries – lost full control of the podium to the uncontrollable scrum of the internet, the battle has joined over who gets to hold the microphone that’s now roving through the audience. The sort of nonsense iterated above is no longer met with blind acceptance from all quarters, and so – to the blindsided – this must now be the fault of the bloggers. Words and numbers on a bottle are increasingly called to back up their claims with results, not merely with ad campaigns, and so this is now to be blamed on wine fora. Wines that “must” be made a certain way are now challenged by wines of comparable or superior quality that are not made that way, and so this must be the fault of some wine writing harridan. If the battle is to be fought this way, the lesson of countless others like it is that those who refuse to participate with honesty and as much openness as they can muster will lose. Not because their potential arguments lack merit, but because the internet always “wins” this sort of tussle…and also because they will have failed to actually engage the arguments themselves, ceding ever-larger portions of the field to those who argue from the foundation of a philosophy rather than the needs of marketing. Here, for example, is a long series of passionate arguments for (and occasionally against) natural wine. There’s some incredible writing there, and some less so, but what jumps out at me is a strong reliance on wines as foundations for the debate…or, in some cases, the entirety of a given argument. And these wines-as-arguments succeed because they’re open books in terms of conception and process. Someone can taste one, know everything about its guiding philosophy, and judge the merits of both. That’s the direction we need to go, but we need everyone participating in the discussion. Someone much more interested in snarky but unproductive brevity than me probably could have boiled this entire post down to “Clark Smith should stop whining.” But no, that’s not really the point. The thing is, he isn’t going to win this fight via verbal artillery. What he should do is let his wines, and others, speak for themselves. Because articulate or not, wine makes a more compelling and complete argument for a philosophy than Smith ever could. If Mr. Smith wants full disclosure and transparency in the industry, he should refuse to sign the confidentiality agreements he makes, (kept in a large filing cabinet in his office), with the large wineries upon whose wine he practices "Alcohol Fine Tuning". Umm, agreed-- is it hopelessly Pollyanna-ish to posit 'Let it begin with me' as a good rule of thumb to move the debate along? Pollyanna-ish, perhaps not. Hopeless? Perhaps. But it's worth saying.